Separated from his mother as young child, Billy Batson (Angel) has grown up in and out of various foster homes, persistently running away in an attempt to track down the only family he’s ever known, however this all changes when the now 14-year-old Billy is taken in by the Vasquez family and at the same time chosen by the wizard Shazam (Hounsou) to become his champion and in the process prevent the evil Dr Sivana from releasing the seven deadly sins. Back when it was announced that Shazam! was in production it was met with mixed responses to say the least, DC hadn’t exactly had the best of luck with the DCU at the time and Shazam (or Captain Marvel as he used to be called) isn’t exactly one of the big names in the DC stable, but since then DC has managed to find its feet with successful box office hits Aquaman and Wonder Woman, plus as Marvel have proven, you can have great success with some of your lesser known characters. The first thing to say about Shazam! is just how refreshingly old-fashioned it feels in comparison to the rest of the superhero films that we are treated to lately, it takes me back to a time before superhero films were all about building towards the next big bad, instead they chose to make a movie where having superpowers is both fun and something to be enjoyed, after all the film is about a child in the body of a superhero, sure we would all like to think we would have gone out and been responsible with our new powers, but you know that you would have also used them to muck about. 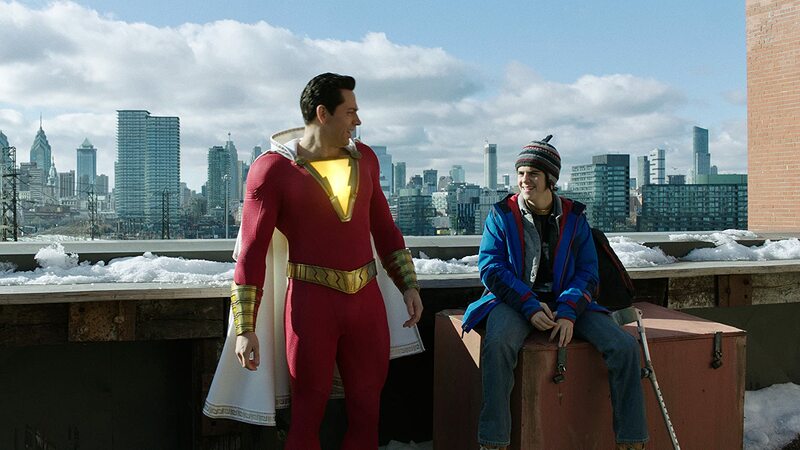 Another thing to note about the film is just how great the chemistry is between the entire cast, the scenes between adult Billy (Levi) and Freddie (Grazer) or child Billy and Freddie the wise cracking disabled foster child with a love of all things superhero are especially a delight and had me chuckling to myself more than once during the film. 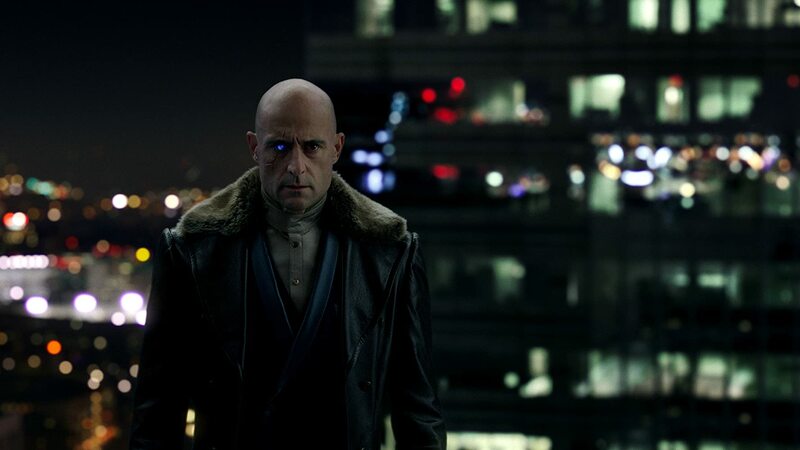 Continuing on from this, Mark Strong is a joy to watch as the evil Dr Sivana, he is clearly enjoying himself as the main antagonist and it really works, too often the main bad guys in origin stories pretty forgettable, but here he is given just enough development for you to understand his motivations and unlike in the recent Captain Marvel film where you never really fear for Carol Danvers character, Dr Sivana is more than a match for Shazam and more than a little bit menacing. 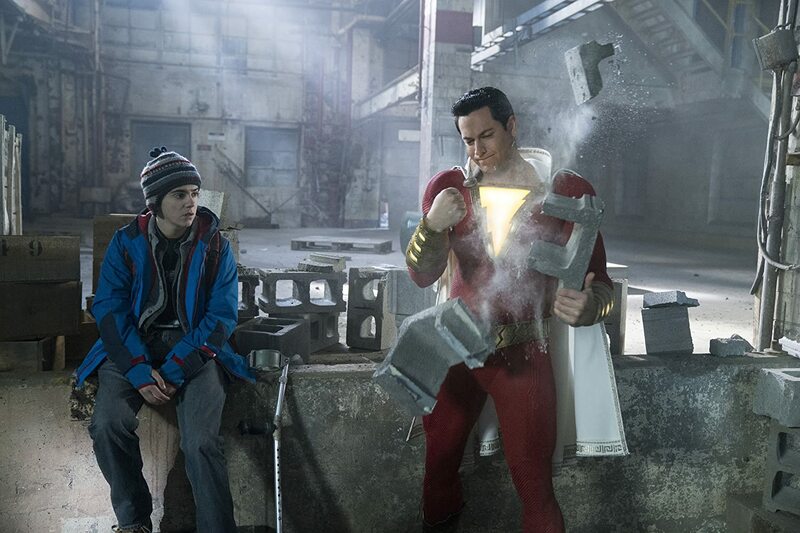 The only real downside to the film is that it could have done with a little trim to get the runtime under the two-hour mark, apart from that there is very little not to like about Shazam!, it’s really enjoyable and entertaining throughout, bringing some childlike wonder back to a genre that over the last few years has become very serious indeed.